Last week I revisited the Harvey Nichols Beauty Bazaar in Liverpool One with the intention of adding to my ever growing nail polish collection. Once in there, glass of Prosecco in hand, I ventured straight upstairs towards the Nails Inc counter to take a look at some of their latest sets. The whole display was a vision of vibrant colours and as I perused through the concrete effects, glitter and graffiti nails varnishes I was drawn to their latest Bling It On glitter sets. 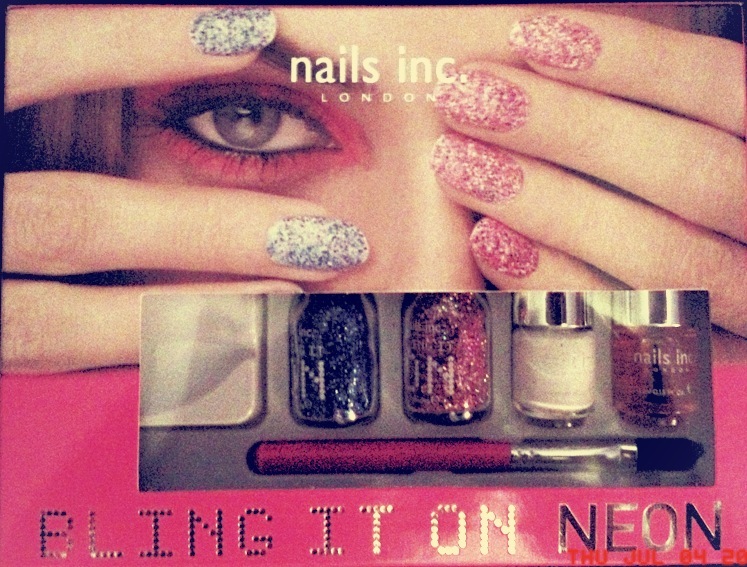 I already have the dark glitter set, which is perfect for winter and Christmas parties, but this latest set, in neon, is bright, bold and great for summer soirees! 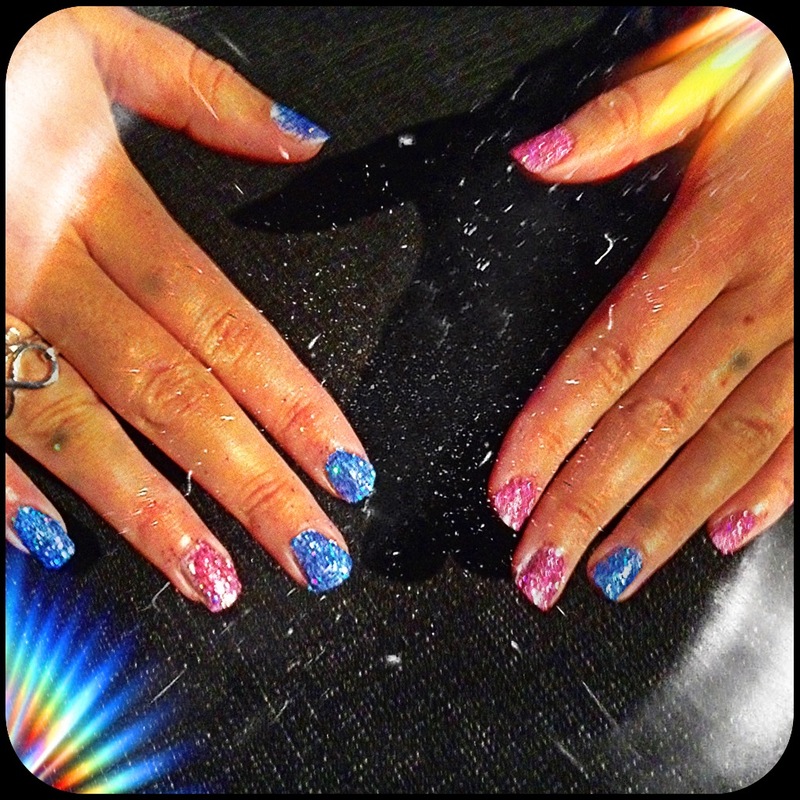 Complete with a white base coat, two glitter pots in blue and pink, a top coat and a glitter removal brush you can create the greatest glitter nails in no time at all. Incredibly easy, if not a little messy, you start by applying the base coat (or any polish you want to use as a base, but the colours work great with the white). Next, pour some of the glitter, in your chosen colour, into the tray and roll your nail about in it to make sure it is completely covered. Brush away any excess glitter from around your nail with the brush and finally apply the top coat to seal the glitter in. I couldn’t decide which of the vibrant colours I preferred so decided to use one of the season’s top styles and painted one hand pink with a blue ring finger and the other hand blue with a pink ring finger…take a look! Special thanks once again to my good friend Sara Yates for her beautiful graphic featured image! Previous Post Is it a bird? Is it a plane? No, it’s comic prints!